Discover the roads that have decided the outcome of many tours. The Tour de France is a regular visitor to the Tarantaise valley and we are surrounded by some of the most famous climbs in the world. 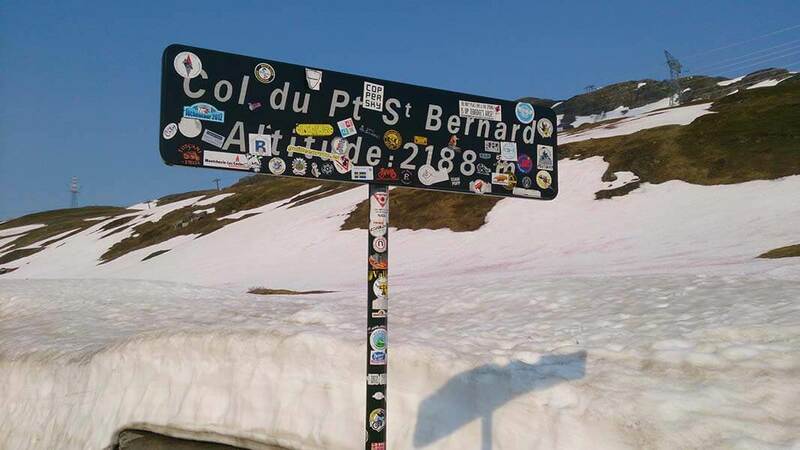 Several classic routes are accessible straight from the chalet, a spin down to Bourg St. Maurice puts you at the foot of the Col de Petit St. Bernard, Col de la Iseran and the Cormet de Roseland. Greater possibilities are opened with our Supported rides . Moutiers is a short transfer in our minibus – the start of the Col de Madeleine and access to the 3 vallees, and it takes just over an hour to get to the Maurienne valley for the epic Cols of the Telegraphe/ Galibier, Glandon and Croix de Fer. Valley tours – There’s a whole network of quiet B roads accessing the myriad small villages dotted around sides of the valley allowing a huge variety of circuits with multiple shorter climbs that can be extended or shortened to suit all abilities. Big rides – Monster days out, or even multi day adventures are possible for those seeking the biggest challenges..
Feel free to contact us for recommended rides and suggested weekly itineraries.. The Goat Shed apartment sleeps 7/8 and is available on a self-catering basis during June & September. Not a rider, or fancy a day off? There’s plenty of other activities right on our doorstep; hiking, paragliding, rafting, Mountain biking, via ferrata, tennis or simply lazing by the pool!